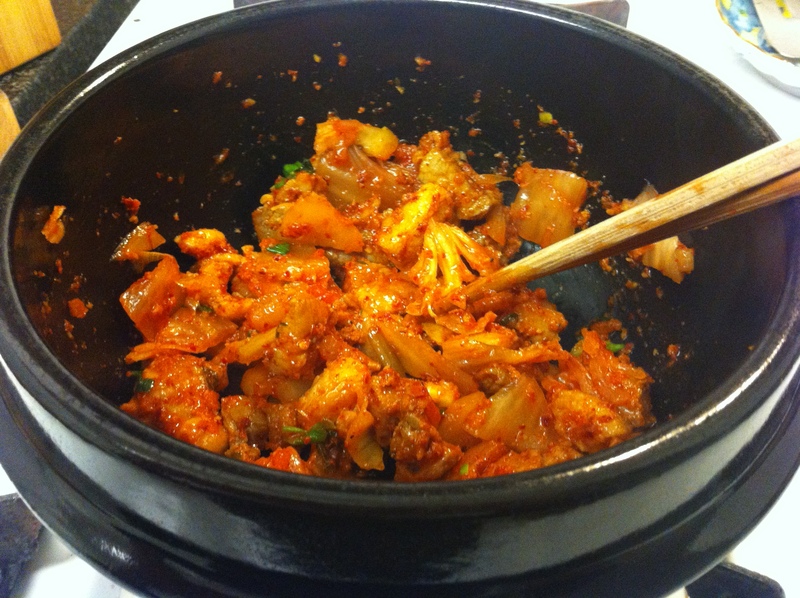 The only problem is that it is also one of those dishes that do not taste quite right when made at home…until today! After playing around with soodobu-jjigae recipes for years, I finally made it taste like the ones I get at my favorite soondubu-jjigae restaurant. 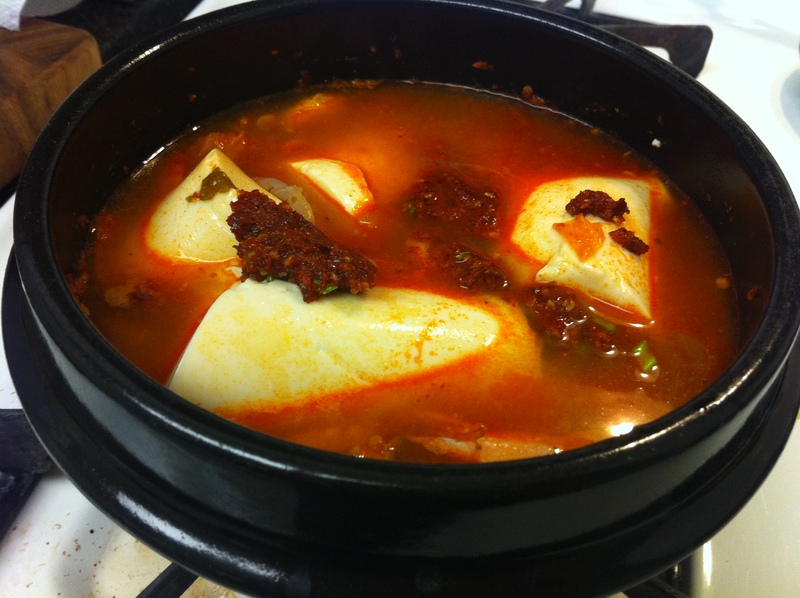 It occurred to me when my friend in Seoul mentioned that even her cooking instructor said that you have to add a little meat flavor to the stew to make it taste right, I decided to combine my two soondubu-jjigae recipes; one with kimchee and pork, the other with only seafood. Luckily, the goal to use no artificial flavoring was a great success. 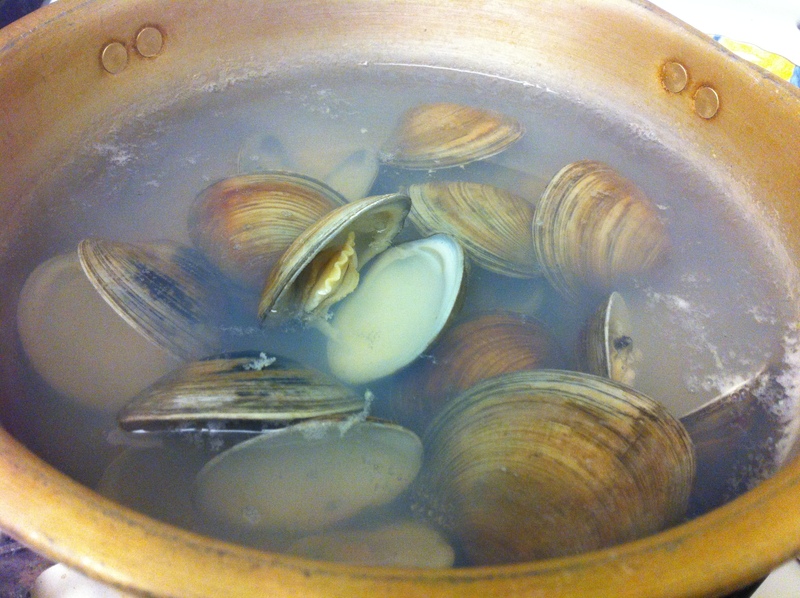 Also, I made double the amount of clam broth to make bajirak-kalguksoo the next day. 3-4 shrimps, cleaned and deveined (I used the raw frozen kind). 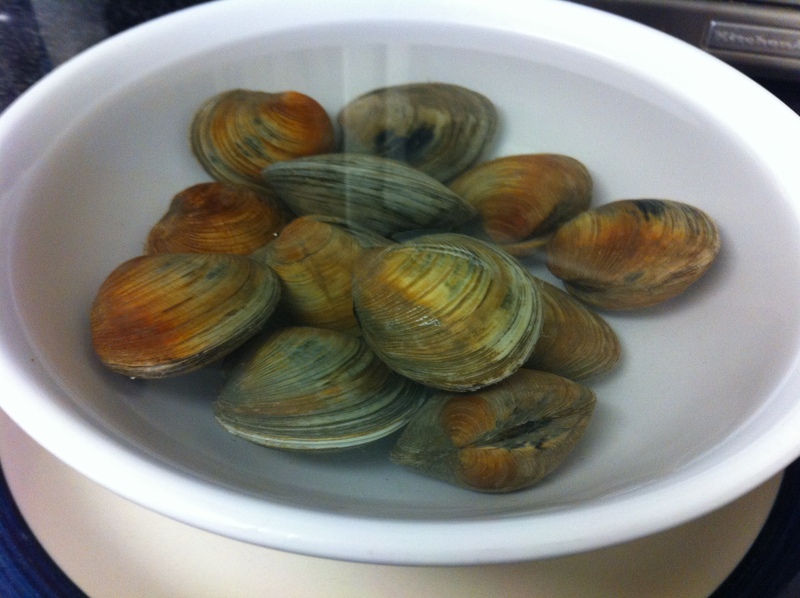 Soak the cleaned clams in cold water with a little salt. Cover the bowl with foil and place them in the refrigerator for at least an hour. This dark salty water emulates the sea and the clams will spit out sand they have. This process is called haegam (해감) in Korean. Mix the pork and 2 tablespoons of the marinade. Let it sit in the refrigerator until you are ready to use it. 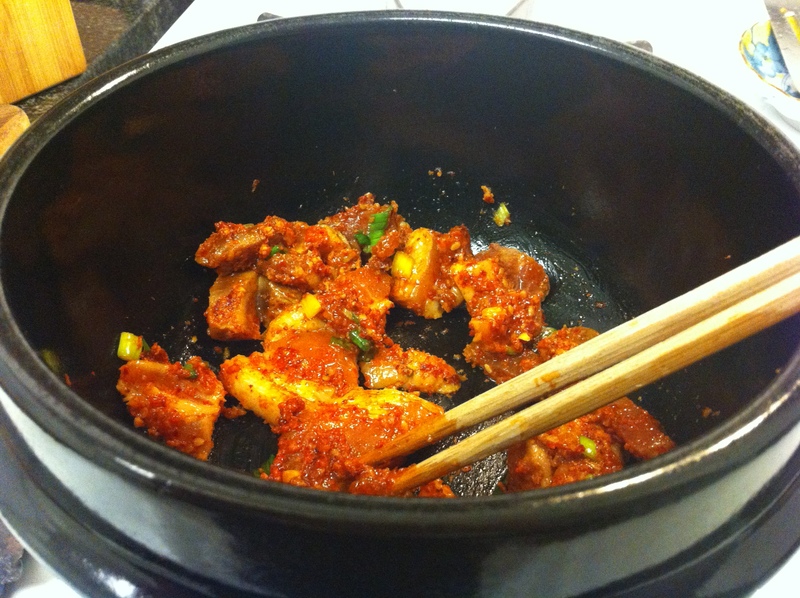 In a pot or ttuckbaegi (뚝배기), which is Korean earthenware pot, sauté the marinated pork for about 3 minutes on medium heat. If the heat is too high, the pork will start sticking on the pot. 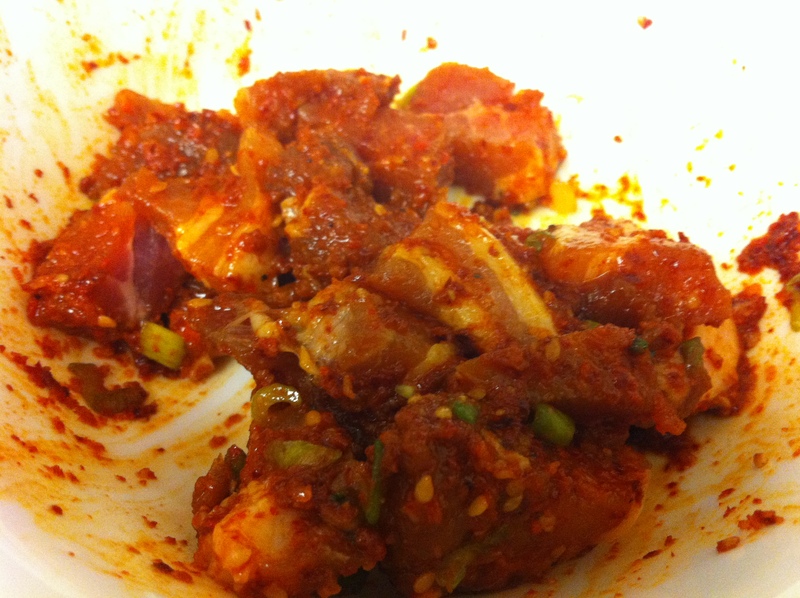 Squeeze out and discard juice from the kimchee and sauté it with the pork for a minute or two. 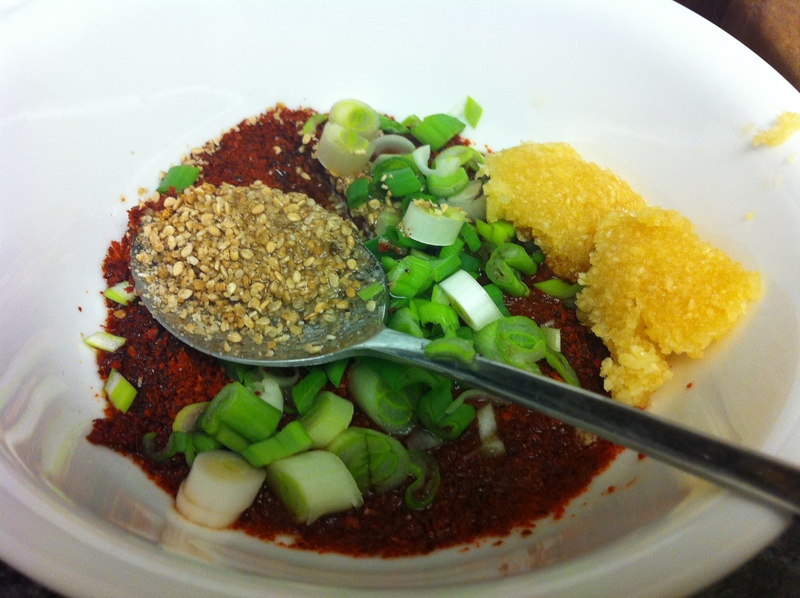 Spoon the tofu in large chunks because it easily falls apart. Pour about 1 1/2 cups of clam broth not quite enough to cover the tofu because the tofu will release more water as it cooks. Add the remaining marinade into the stew but keep aside one tablespoon of the marinade in case the stew becomes too spicy. Bring the stew to a boil and let it simmer for about 10 minutes. Add the squid, shrimp and cooked clams. Simmer for about another 5 minutes. Taste the stew and add the remaining marinade if needed. I didn’t have to add anymore for mine. 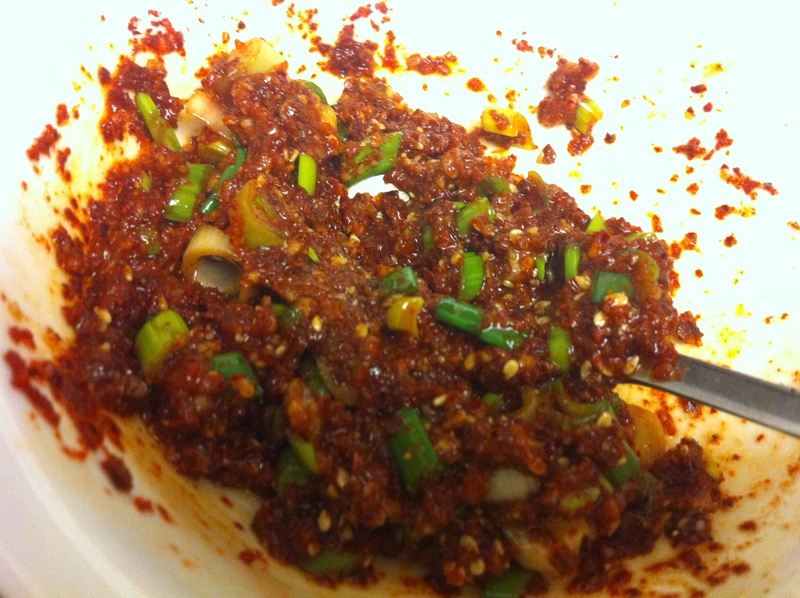 If it is spicy enough but not salty enough, season with gukganjang or with a combination of soy sauce and salt. Add the scallions and crack open an egg in the middle. 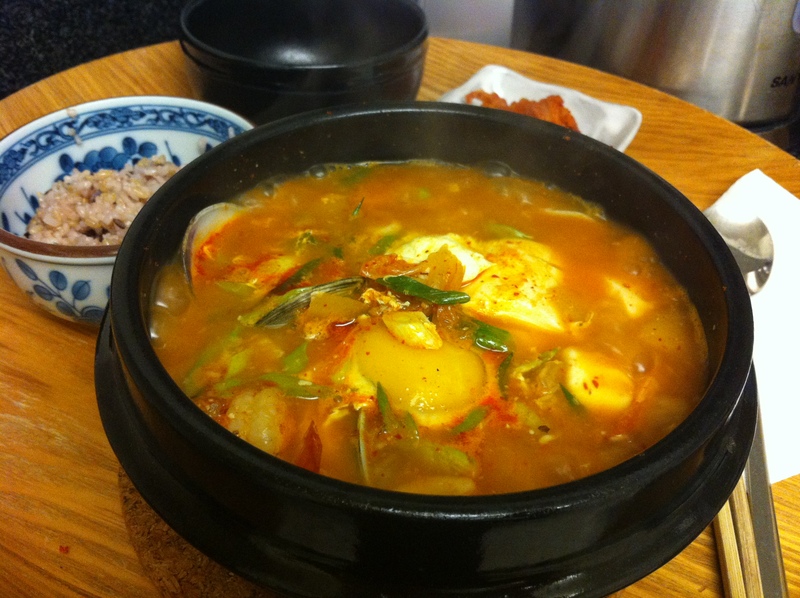 Bring the stew to a high boil and serve immediately before the egg yoke starts cooking. 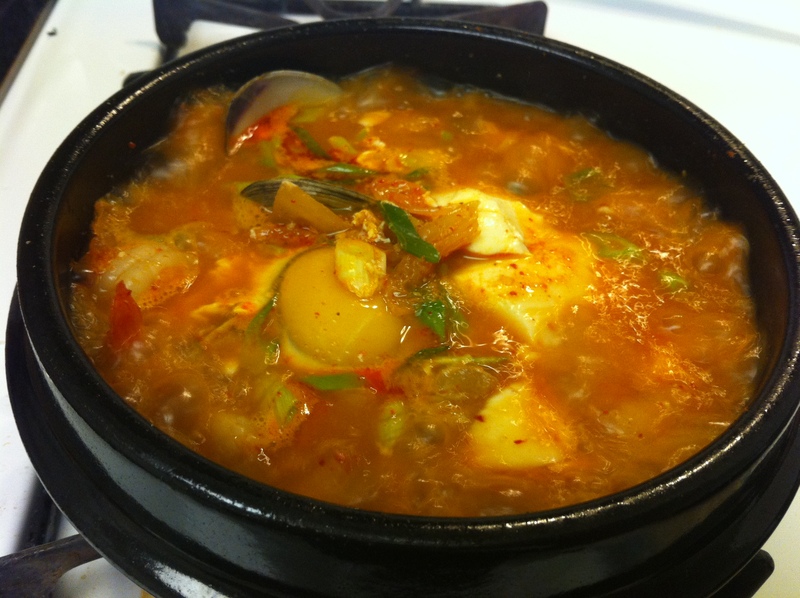 This entry was posted in Good for dinner, Good for lunch, Seafood, Soup/Stew (국/탕/찌게) and tagged Beef, Clams, Pork, Shrimp, silken tofu, Soondubu, Squid by gangnamkitchen. Bookmark the permalink.